OVERVIEW—The Caucus Chair is responsible for providing overall leadership, liaising with STLHE through membership on the STLHE Board of Directors, raising the profile of faculty development, advocating for and representing the EDC within STLHE and beyond, and coordinating special faculty development issues. The term of office shall be two years with a maximum of two consecutive terms. BIO—Erika Kustra has been an educational developer since 1999, beginning to facilitate sessions even earlier, during her graduate and postdoctoral work in physiological psychology. She has been the EDC Secretary and STLHE Newsletter Editor, and participated in a number EDC Action Groups. In the last six years, Erika has facilitated over 60 invited workshops on teaching and learning nationally and internationally. She co-authored handbooks and guides on topics ranging from program-level learning outcome assessment to educational development portfolios; published articles on scholarly teaching, assessment of teaching and learning centres, and institutional teaching culture; and recently, led a multi-institutional projects to examine teaching culture and educational development programs. Erika has also been part of university- and national-level award-winning teams for exemplary collaboration in university teaching, and was the recipient of the University of Windsor’s Excellence in Leadership Award. OVERVIEW—The Vice-Chair, Communications is responsible for facilitating communication and coordinating the availability of resources via the EDC listserv, website, and other means. The term of office shall be two years with a maximum of two consecutive terms. BIO—Dr. Maureen Wideman is the Director of Teaching and Learning at the University of the Fraser Valley (UFV) in Abbotsford, BC. 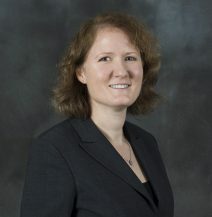 She is also on the executive board of the British Columbia Teaching and Learning Council (BCTLC). Her background is as a curriculum, teaching and learning specialist. She has applied her knowledge and expertise in a number of areas including educational development, learning with technology, program planning and review, and teaching in higher education. She is also passionate about ensuring accessible and inclusive learning environments. Maureen has worked more than 20 years in faculty and educational development, taught courses in traditional, blended and online formats, and managed a service department supporting student with disabilities. In her present role as Director (and change agent), she is overseeing a $2.5 million investment in active learning classrooms. 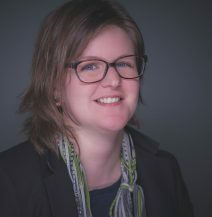 She was a key participant in the UFV2025 program where university members spent more than a year investigating the future of postsecondary learning, resulting in forward thinking strategies and plans to prepare for changing students and evolving learning practices. She is carefully managing transformational shifts across campus that include developing the digital literacy of faculty members, improving pedagogical practices, facilitating scholarly research and engaging the entire university community in enriching the learning experiences of their students. Maureen is a determined and empathetic leader and welcomes the opportunity to further support the important work of the EDC as a vice-chair. OVERVIEW—The Vice-Chair, Awards and Recognition, coordinates the EDC Awards, the EDC grant program, the EDC Accreditation program and the EDC bursaries.. The term of office shall be two years with a maximum of two consecutive terms. BIO—Natasha Patrito Hannon is the Manager of Educational Development at Niagara College, and she holds a PhD in Chemistry from Western University. With a decade-long career that spans both the college and university sectors, Natasha has worked in the areas of graduate student professional development, STEM education, faculty and curriculum development, and the scholarship of teaching and learning. Natasha is a committed member of the educational development community in Canada and is passionate about creating opportunities to share, acknowledge, and celebrate our work. 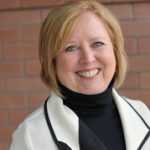 She has served as an executive member of the Council of Ontario Educational Developers and in 2016, along with her COED executive colleagues, launched the ED Summer Crawl initiative as an opportunity for informal networking and relationship building among Ontario developers. 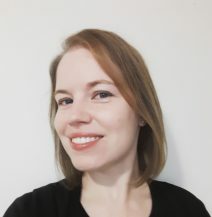 Natasha has also assumed leadership roles in a number of other collaborative endeavours including being a member of the College Educator Development Program planning team, chairing the NSERC CREATE grant committee, and co-editing the Teaching Innovation Projects Journal. Natasha is a particularly vocal proponent of the EDC grant program as a mechanism for sparking creative and highly valuable initiatives, research, and resources. She looks forward to working with the EDC executive and membership to expand the profile of the grants program along with the profiles of the exciting new EDC Awards and Accreditation programs. OVERVIEW—The Vice-Chair, Professional Development is responsible for coordinating the professional development session during meetings of EDC members at the AGM and GM; chairing the grants program and the Academic Program of the annual EDC conference. The term of office shall be two years with a maximum of two consecutive terms. BIO—Jaymie Koroluk is the Assistant Director, Educational Development Centre, Carleton University. She holds a Bachelor of Education and BA in Visual Arts, and a Master of Education in Educational Technology and Design. Having worked in the area of educational development and instructional design for a number of years, Jaymie is passionate about solving problems though good design and effective use of technology. In her practice as an educational developer, Jaymie strives to create positive, welcoming environments that encourage innovation and continuous improvement for anyone who finds themselves involved in the facilitation of learning. As Vice Chair Professional Development, Jaymie is excited about finding and creating opportunities for professional development, both formal and informal. OVERVIEW—The Vice-Chair, Conferences is responsible for coordinating the annual conference process in collaboration with the conference host, the Vice-Chair (Professional Development), and the EDC executive. The term of office shall be two years with a maximum of two consecutive terms. BIO — Celia is Director of the Teaching Commons at York University. She moved to Canada to take up a position at York in 2011. Before joining York she was an educational developer in a number of UK universities since 1992 and was head of a teaching support centre at Birmingham City University for several years. She has worked in both college and university settings, with faculty, and students. Her first degree was in English and American Literature, but she quickly moved into education gaining her Masters and Doctorate (Ed.D) from Birmingham University. Since moving to Canada she has served as Chair elect, Chair and Past Chair for the Council of Ontario Educational Developers, and led a working group on behalf of EDC into the possible accreditation of professional programs. 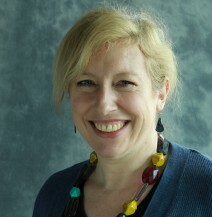 Her research interests are varied including faculty expectations and stereotypes of students (Popovic, C. and D. Green, 2012, ‘Understanding Undergraduates’, Routledge), support for educational developers – she is currently co-editing ‘Advancing Practice in Academic Development’ with David Baume, due to be published September 2015 – and support for contract faculty. OVERVIEW—The Treasurer is responsible for managing the finances of the Caucus. The term of office shall be two years with the option to renew for two-year increments subject to review by the Executive (appointed). 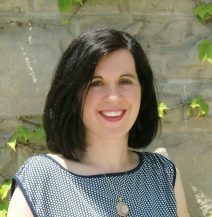 BIO—Jenn is an Educational Developer at Niagara College. She holds a PhD in Media Studies from Western University and has extensive experience integrating technology into teaching and learning. As an Educational Developer in the Centre for Academic Excellence, her main focus is the development and support of technology-enhanced learning initiatives, both at Niagara College and collaboratively with other institutions. She is involved in a number of technology-enhanced learning initiatives including learning management system training, workshop development, and project managing the development of online and hybrid courses and open educational resources. In addition to her work at Niagara College, Jenn is also an adjunct faculty member in the Faculty of Information and Media Studies at Western University. OVERVIEW—The Secretary is responsible for producing, collecting and archiving Caucus documents, and maintaining the EDC membership list. The term of office shall be two years with a maximum of two consecutive terms. BIO—Mandy Frake-Mistak is an Educational Developer at the Teaching Commons, York University. She holds a Bachelor of Physical Education , a Bachelor and Master of Education, and PhD in Higher Education Critical Policy Studies. She supports faculty and graduate students in curriculum design and deliver and is passionate about engaging her community in the Scholarship of Teaching and Learning. She is the EDC Secretary, and a member of the EDC Committee on Accreditation.